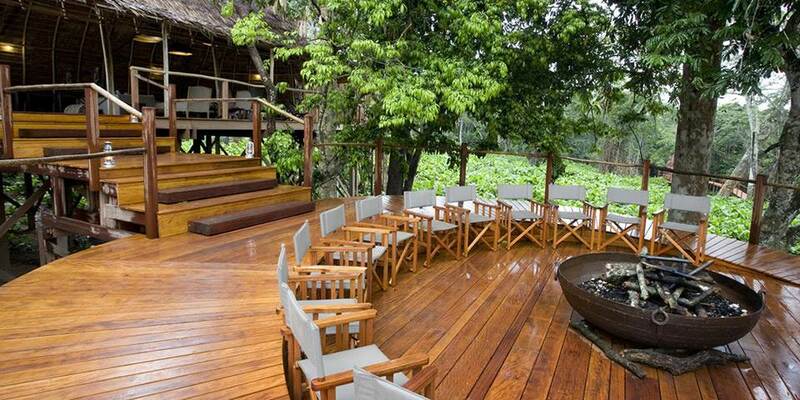 Ngaga Camp can only be combined with Lango Camp on a journey through the central African rainforests. 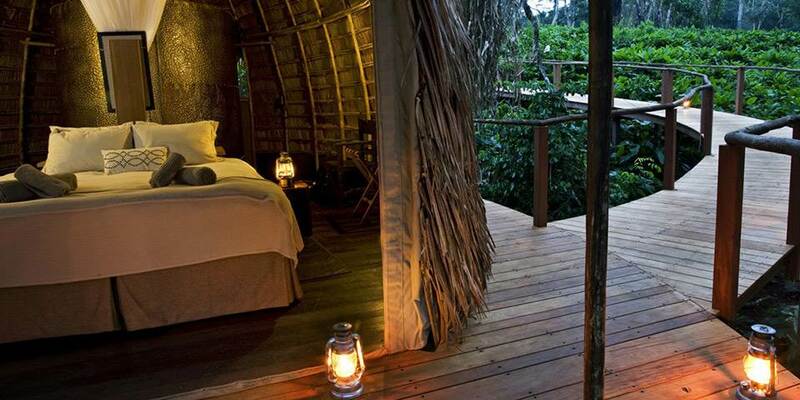 Whilst the main focus at Lango Camp is on the bais, salines, rivers and savannahs and walking and boating around the area; Ngaga Camp is all about the tracking of Western Lowland Gorillas, Gorilla research and Chimpanzees. 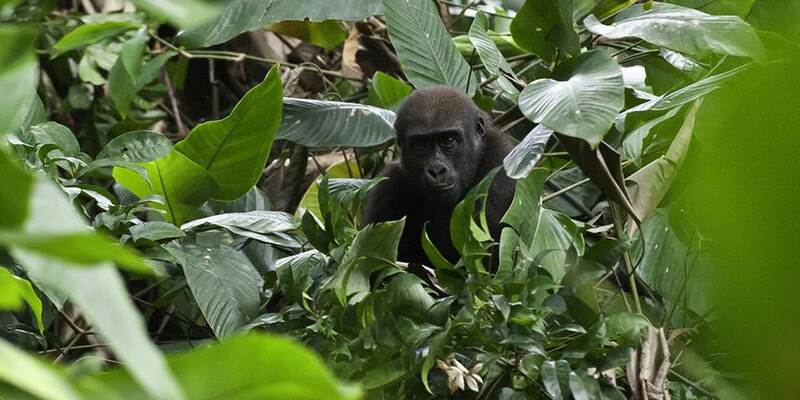 The focus at Ngaga is on tracking and observing Western Lowland Gorillas as well as on the tropical lowland rainforest experience. 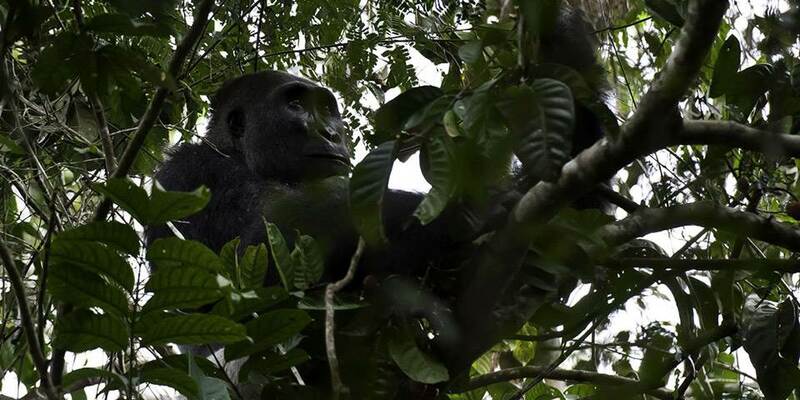 As a result of the work done by Gorilla researchers, Dr Magda Bermejo and German Illera, three habituated groups of Gorillas can be tracked and observed in the area around Ngaga Camp. 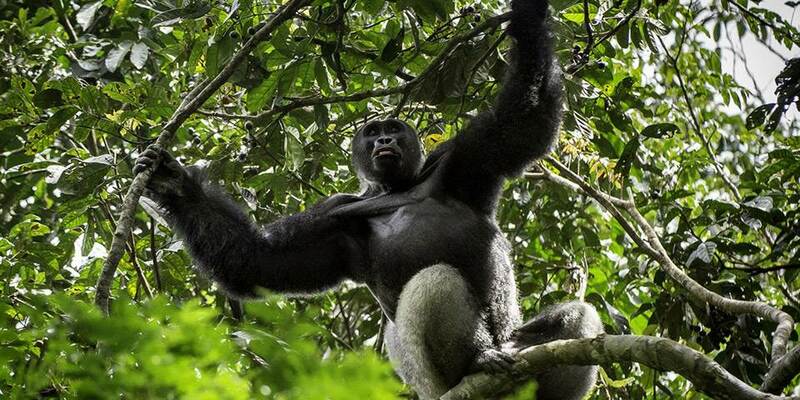 While tracking Gorillas other primates are encountered with Putty-nosed Monkey and Crowned Monkey being the most common. 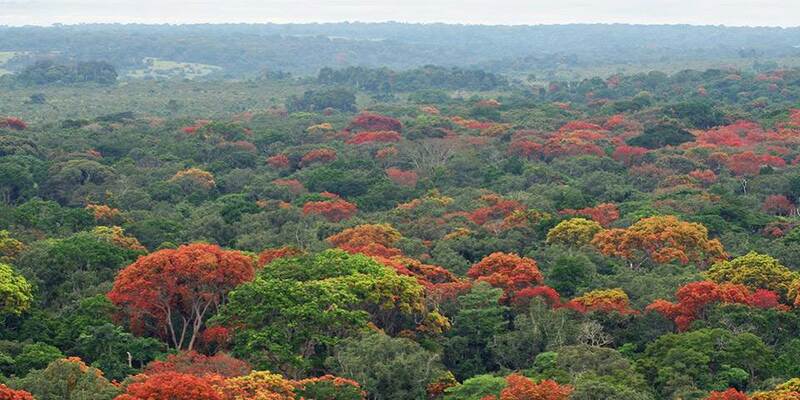 Chimpanzee also occur in the area and are occasionally encountered while out on foot, but are more often heard than seen although their leaf nests are obvious in the canopy. 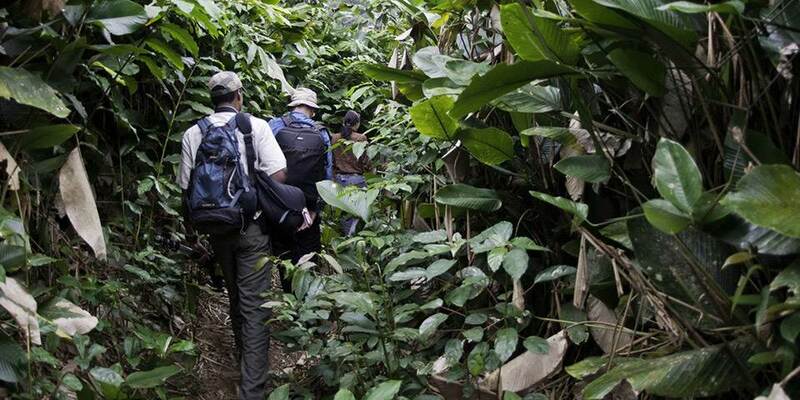 Night walks are also undertaken from camp with the intention of seeing nocturnal primates such as the Central Potto and various galago species. The Hammer Bat, Africa’s largest fruit bat, is also regularly encountered roosting in the trees above. 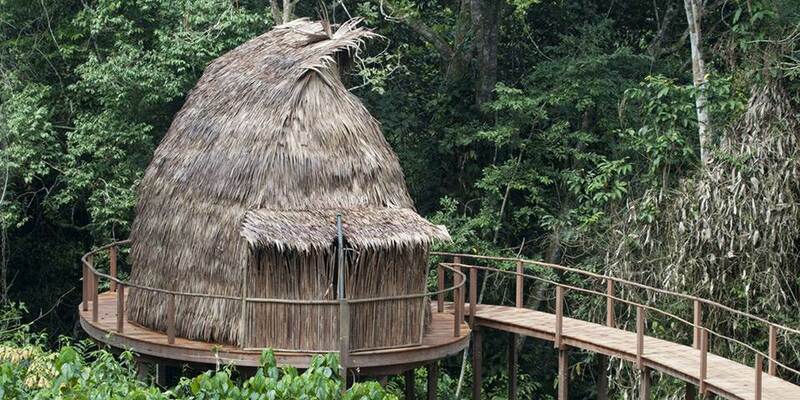 The camp consists of six ensuite tree-houses and associated main areas, inspired by the traditional designs of the regional B’Aka Pygmy groups and traditional, global rainforest cultures. 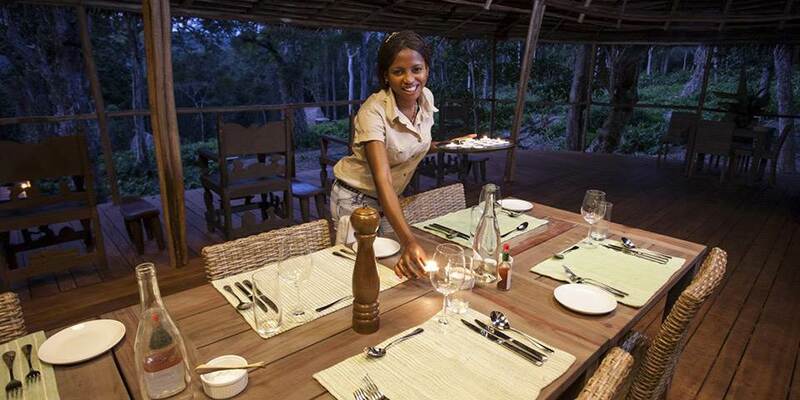 Ngaga Camp rests in a glade of Marantaceae vegetation in the heart of pristine primary rainforest. 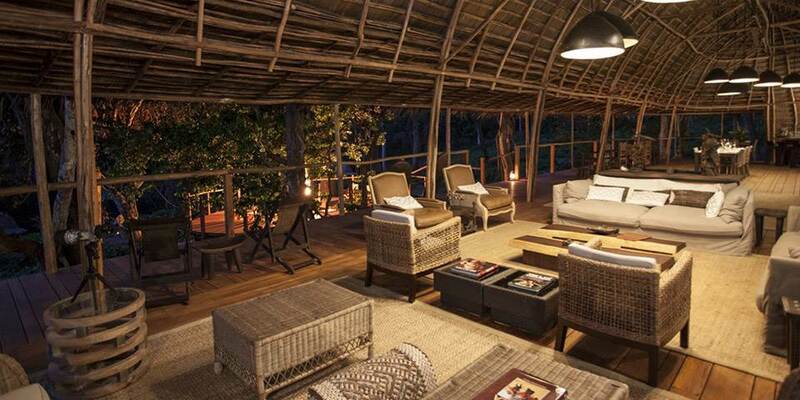 The dining room, lounge and bar area are all on raised decks looking into primary rainforest and are shaded and insect-proofed providing a sanctuary between activities.